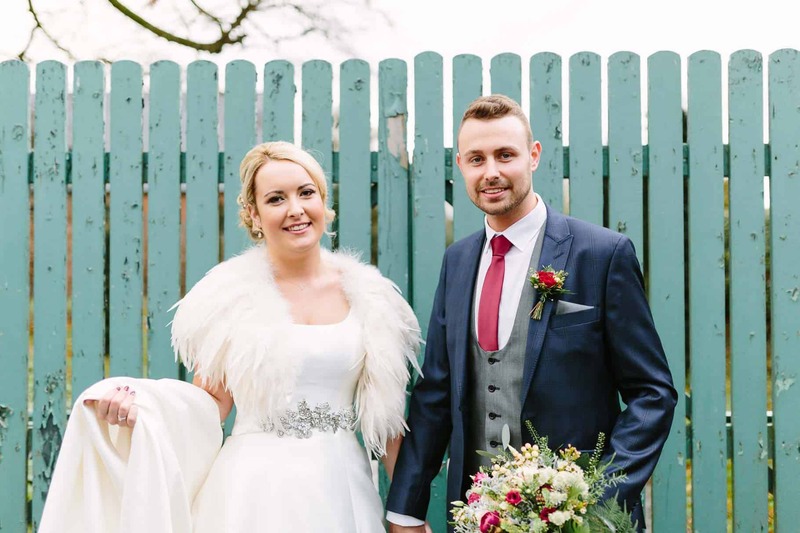 Loren and Stephen, chose the fabulous Clandeboye Lodge Hotel as the perfect setting for their winter wedding. I really do enjoy weddings at Clandeboye lodge. They have everything on site, and a variety of different rooms to choose from, depending on the size of your wedding. Loren and Stephen chose to have their ceremony in the fabulous Blackwood suite. I love this room for ceremonies, as the lovely gothic window lets just the perfect amount of natural light fall onto the couple as they tie the knot. Its beamed ceiling and gothic windows helps create an ambiance thats just perfect for any wedding. Loren and Stephen also had the added ambiance of Christmas trees and fairly lights, which added that little touch of sparkle. Another thing I love about shooting weddings at Clandeboye Lodge, is that once you arrive, you don’t need to leave until the party is over. The grounds are spectacular, perfectly manicured, and are the most amazing backdrop to your wedding photos. Some couples choose to take the short journey to Crawfordsburn Country Park , but in all honesty, its not necessary (although its also amazing for photos and if you have hired a wedding car, its a good place to go for 30 minutes). Loren and Stephen were having a chilled out day, and decided to stay on site and use the beautiful grounds for their photography. While the guests had fun indoors, Loren, Stephen and myself, took a leisurely stroll around the hotel grounds, taking the odd photo as we went. Bleow is a little snippet of how they got in, I’d love to know what you think, so feel free to pop a comment in the comments section below. How fabulous are this couple. I just loved Loren’s Wrap, and it was just perfect for the bitterly cold day that they had. I love this stone bench at Clandeboye Lodge, it makes for such a good backdrop to wedding photographs.